Villawood is reaping the rewards. 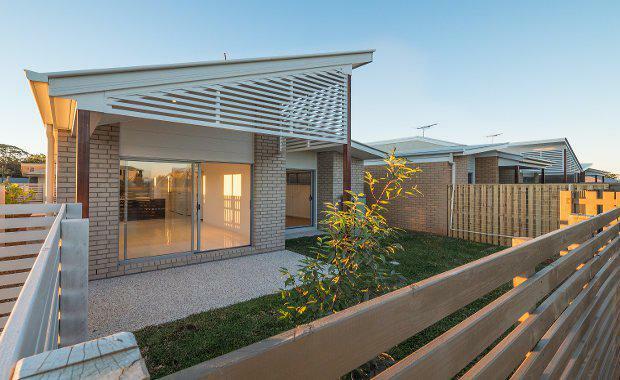 Only six villas remain at Villawood’s Essencia community in Dakabin on the back of recent infrastructure upgrades and research showing Moreton Bay’s strong performance in the market. A report recently completed by Oliver Hume indicates Moreton Bay is South East Queensland's "most affordable coastal region, with nearly as many active development projects as the Gold Coast. "25 per cent of all active development projects in South East Queensland are currently located in Moreton Bay, which is only just behind the Gold Coast where 29 per cent of developments are taking place. This follows the predicated growth of the region, with development plans expected to increase the population of the Moreton Bay area by approximately 192,000 over the next 20 years. The average 'entry' house and land package at Moreton Bay is purchasable for just $341 940. At the Gold Coast the same packages are on offer for an average of $485,122. Prices increase at Redland Bay where the median price is $492 875 and the most expensive is Brisbane where buyers can expect to pay $503,050. Villawood Development Manager Michael Williams says, "there has been solid enquiry about Essencia's final parkfront villas over the Christmas break, following the recent completion of a new bridge connecting Dakabin to North Lakes, giving residents improved access to Westfield North Lakes and the local schools. ""The villas at Essencia represent excellent value when you consider they are brand new and overlook a huge community park ... Once the villas are sold out, there will be no further development at Essencia, so this really is the last opportunity for buyers to secure a property at one of Dakabin's most sought after addresses," said Mr Williams. Allotments range from 320 to 737 square metres. The final villas are currently under construction with prices starting at $334 900.